The Founders' Day Banquet was a great success! We had nearly 200 guests in attendance. 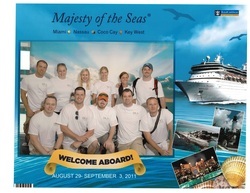 There were a lot of first time attendees from many generations. Gordon Eubanks, one the early Silicon Valley computer industrial pioneers was inducted into the Gamma Chi Hall of Fame. In his keynote address, he provided valuable insights on having a successful life and career. Neal Patterson augmented Godon's ideas with his thoughts on entrepreneurship. A great time was had by hall. This is the premier event for the alumni of Gamma Chi. The next banquet will take place in March of 2015. In the Fall of 2013, the Alumni Association held the Large Pike Reunion Tailgate on October 5th, drawing over 100 guests; the Fifth Annual Beer Pong Tournament on October 12; and monthly Alumni Happy Hours in Kansas City, Tulsa, and Oklahoma City beginning in September, continuing indefinitely. At the August 3, 2013 International Awards Luncheon and Banquet in Memphis, Tennessee, the Gamma Chi Alumni Association took home the William R. Nester Award for Alumni Association of the Year for the second straight year! Meanwhile, the undergraduate chapter was awarded the Real Estate House of the Quarter and the Raymond L. Orians Chapter Excellence Award (given to the top 10% of undergraduate chapters). The Raymond L. Orians Chapter Excellence Award was the second straight for the chapter. It is the first time Gamma Chi has achieved the feat in consecutive years. Both the alumni and undergraduates of Gamma Chi are establishing a consistent legacy of success! 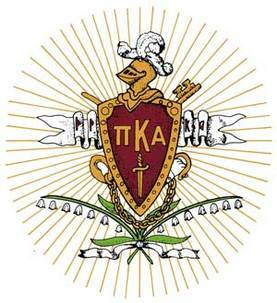 August 3, 2013 at 11:45 am the International Pike Awards Luncheon will be held. At this luncheon, the following awards will be given: William R. Nester Alumni Association of the Year, Chapter Advisor of the Year, Alumni Advisory Board of the Year, Loyalty Award, Judge Elbert P. Tuttle Distinguished Achievement Award, and Raymond L. Orians Chapter Excellence Awards (Given to the top 10% of undergraduate chapters). August 3, 2013 at 7:30 pm the International Pike Awards Banquet will be held. At the banquet, the following awards are presented: Jenks Robertson Most Outstanding Undergraduate Award, Real Estate House of the Year (Gamma Chi was one of the four House of the Quarter winners eligible for this award), Harvey T. Newell Most Improved Chapter Award, and the Robert Adger Smythe Awards. Book your reservation today by visiting pikes.org or contact Shane Pate at pike_boy_1868@yahoo.com for more information. In addition to the annual meeting, we hosted a Gamma Chi Pledge Signing Day in August and an undergraduate meet and greet/BBQ on August 24. The pledge signing day involved several alumni hosting undergraduates and potential pledges as a signing day event. The undergraduate meet and greet was an alumni hosted BBQ event where alumni met the undergraduates and served them burgers. New Business - New officer elections, chairmanship volunteers, event planning, and update on Phase I and II renovations. Please contact us if you have interest in serving as an officer, chairman, or on a committee. The alumni association will host a meet and greet at the Pike House in Stillwater, OK on August 24, 2013. This is shortly after the undergraduates move into the house. Alumni are encouraged to attend and meet the undergraduates and enjoy BBQ. Afterwards, the alumni are invited to Eskimo Joe's for drinks. Over 180 guests were in attendance for our Alumni Founders’ Day Hall of Fame Banquet Saturday, March 9, 2013. Scottrade Founder and CEO and 1964 Gamma Chi initiate, Rodger Riney was the featured guest speaker for the association’s annual marquee event. Scottrade is a discount brokerage firm with over 500 branches around the U.S. and has placed high on Fortune’s “100 Best Companies to Work For” list every year since 2008. Brother Riney was inducted into the Gamma Chi Hall of Fame. The formal event was held in Stillwater at the newly renovated Student Union Ballroom. On Saturday morning before the banquet, association members were invited to play golf at Karsten Creek, one of the most challenging golf courses in the country and home of the 10-time national champion Oklahoma State golf team. Then just prior to the start of the banquet, the association hosted a cocktail hour. 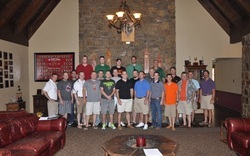 Many brothers stayed in town overnight and enjoyed catching up and socializing that evening and the next morning. In August, we hosted a BBQ in Stillwater for the Undergraduate Move-in Day. Alumni mingled with the undergraduates in the afternoon, and then gathered at Eskimo Joe’s to enjoy some cheese fries and drinks. In September, we hosted our annual Beer Pong Tournament in Oklahoma City and our annual Gamma Chi Pike Alumni Reunion in Stillwater. In addition to these great events, the association hosted tailgates for all Oklahoma State home football games. Summer and fall association events drew over 500 total guests. August 18th, the Alumni Association hosted a Move-In/Workday BBQ in Stillwater, OK for the undergraduates. 25+ alumni showed up to meet and greet the undergraduates at the Pike House. 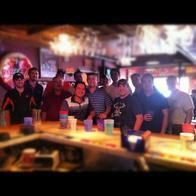 Afterwards, the alumni went to Eskimo Joe's for drinks. 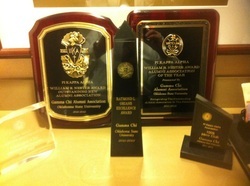 Gamma Chi Wins International Awards! 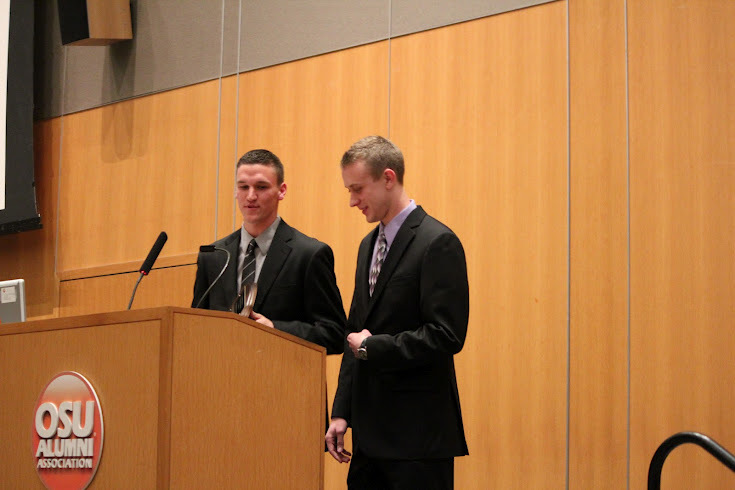 the undergraduates went home with the "Chapter Excellence Award" along with several other exemplary performance awards. The "Chapter Excellence Award" is given to the top 10% of chapters in ALL of Pi Kappa Alpha. A good contingent of Gamma Chi Alumni Association members were in attendance to accept the awards. The Alumni Association annual meeting was held in Broken Arrow, OK just outside Tulsa at the residence of Brandon and Nikki Lux. In addition to the meeting we also had a Luau Party. Those in attendance were served the award winning Kansas City based Oklahoma Joe's BBQ, from the new Broken Arrow location. Also served was margaritas, potato salad, chips and two homemade dips, apple pie, and you could roast marshmallows and make s'mores. The guests also enjoyed games of bean bag toss and horsehoes. Items discussed were the past year, the budget, and events for the next year. The meeting minutes are posted under resources, minutes/by laws for your reading pleasure. 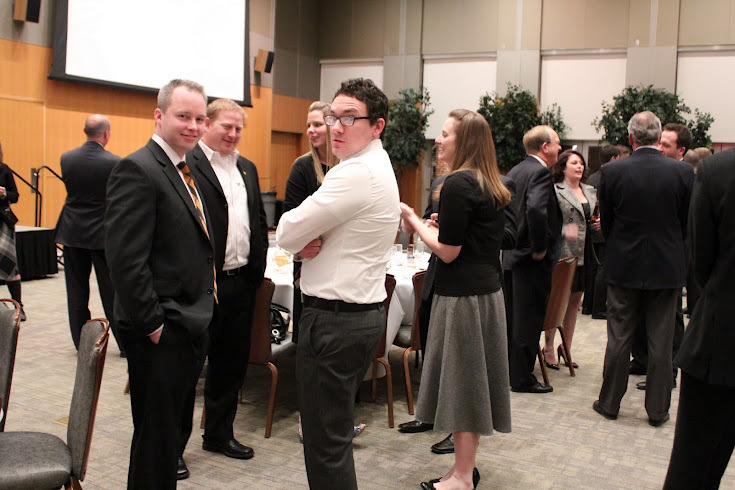 We held our Alumni Assocation Banquet two days after Founder's day with great success. Approximately 150 alumni, undergraduate, and wives/girlfrields spanning all generations were in attendance to celebrate. The evening began with a reception where drinks were served and attendees were able to catch up with old friends. After eating a four course meal from Freddie Paul's Steakhouse, the guest speakers for the evening, Former International President John Williams and International Supreme Council Member Shad Williams, engaged the audience with topics ranging from brotherhood, the national fraternity, personal stories, and risk awareness. Gary Morris and James Holland were then inducted into the Gamma Chi Hall of Fame and Devon Lansford was awarded Undergraduate Pike of the Year. The evening concluded with a post-recepetion where attendees were able to mingle and were served drinks. We hope to get an even larger turnout next year! Pictures from the event are posted below. October 28, 2011 - OSU Homecoming Walk Around/Pike House Deck.